T-Shirts, Youth Water Bottles, Glass Coffee Mugs, oh my! 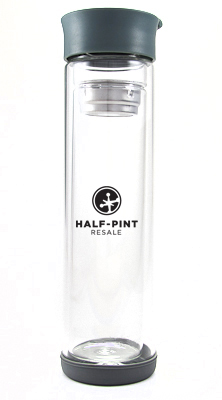 Oh, we have so many great Half-Pint goods this sale! 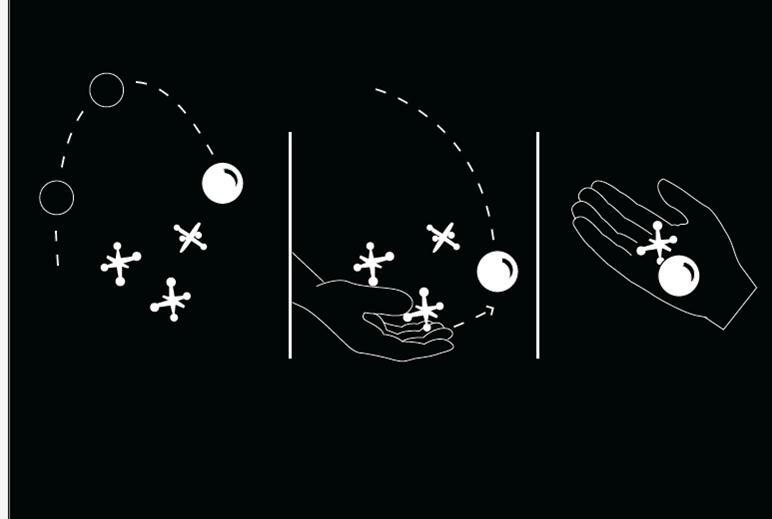 We’ll have t-shirts (designed by the awesome Christina King, and printed locally by the amazing Dorla at Screen Door Printing)! Baby and Youth sizes for only $10 (including some itty bitty creepers!) and Adult for only $14! 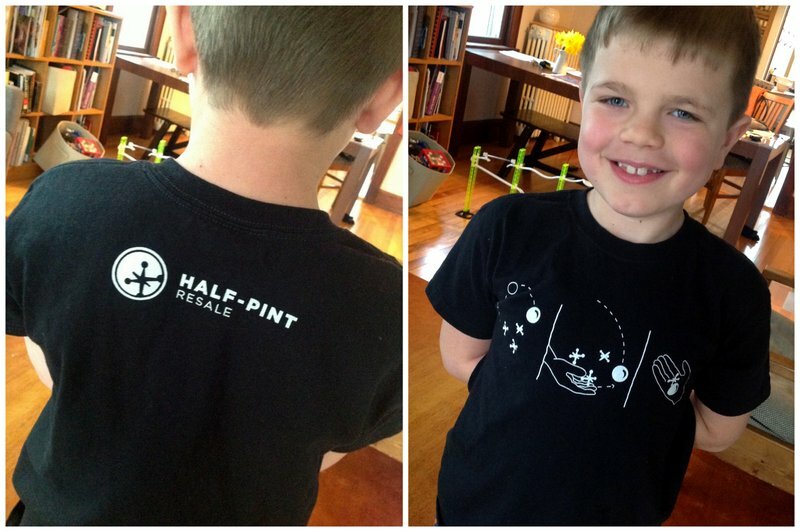 Limited quantity, especially in adult sizes, so save some cash and look for the rack of Half-Pint tees. Next on tap, we have the awesome Eco Vessel bottles. 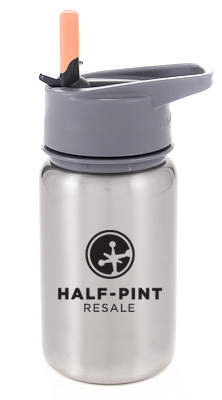 We asked Half-Pinters what they might like with the Half-Pint logo on it, and we had so many folks ask for kids water bottles, we had to look into it. And we love this company! We’ll have some super cute Scout bottles (both silver and white with owl) and some great Vue Double Glass Walled bottles (both blue and slate tops) that can be used for hot and cold – all with the Half-Pint logo on them, and for reduced prices, too. Only $14 for the Scouts and $17 for the Vue’s, $3 off the regular price. Come and get ’em at the sale!